Innovation in the production, design and use of wood products dominate today’s headlines. Specifically, how the new ICC code enables tall wood buildings in the US, and the fire testing that supported the change; how innovation in wood technology is improving our sustainability factor and related innovation showcases in Vancouver, BC and Hanover Germany; and the 2019 nominees for BC’s 15th annual Wood Design awards. In other news: Quebec and Canada support CelluForces’ cellulose nanocrystal facility; a Mississippi mill manager is invited to Trump’s State of the Union Speech; and a PEW foundation feature on logging’s role in wildfire management. Finally, the Frogs will be reporting live from the Association of BC Forest Professionals AGM in Kamloops. Looking forward to talking with some of you at the ice breaker! MONTREAL – Innovation in the forest industry has the power to advance the development of Canada’s renewable resource economy and create good jobs while combating climate change. …a combined $6.4-million investment to support CelluForce Inc.’s innovative cellulose nanocrystal facility becoming the world’s first full commercial demonstration-scale plant of its kind. The funding, which is provided through Natural Resources Canada’s Investments in Forest Industry Transformation (IFIT) program and Government of Quebec by means of the MWFP’s Innovation Bois [wood innovation] program and the Ministère de l’Économie et Innovation’s Fonds du développement économique [economic development fund], will support the production of 300 tonnes of nanocrystals annually at the new, state-of-the-art facility. This remarkable new material, which can be used in everything from papers to paints, electronics to adhesives and cement to cosmetics, is produced from the cellulose in trees and made from wood that is abundant, renewable and biodegradable. Pictou Landing First Nation is counting down the days until Northern Pulp Mill can no longer dump toxins into Boat Harbour. That’s when the harbour will be re-named its original name – A’se’k – which means ‘the other room’,” said Chief Andrea Paul. The toxins released in the water by the Northern Pulp Mill killed fish and affected the culture and economy of the Nova Scotia community. … Tracey Denny said people had to move away. “Once Boat Harbour came into effect and the effluent started coming over they just lost everything, and community members left the reserve because they felt there was even nothing more to stay,” said Denny. Elders say they remember life before and after the harbour was polluted. Mary Nichols says her family lost their culture, their home, and they were displaced. How do you create a better plastic? You make it out of trees. Advanced BioCarbon 3D (ABC3D), based in B.C.’s Kootenay region, has spent years engineering a way to manufacture bioplastics by extracting the resin from wood chips. The results are plastics that are durable and heat-resistant, and also non-toxic, biodegradable and carbon-negative. 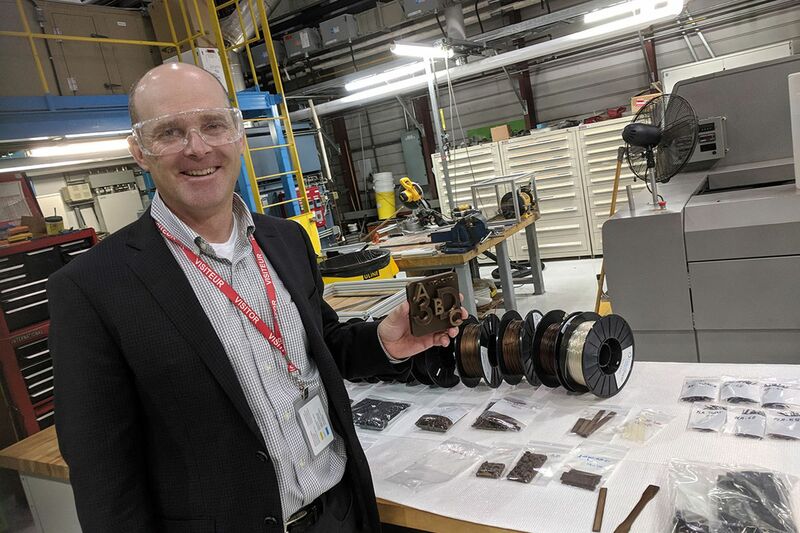 “We’re revolutionizing the plastics industry, making sustainable products that are not only extremely high performing, but cheaper than what’s available now,” says Darryl Fry, CEO of ABC3D. The next challenge is to scale up. That’s why ABC3D will be showcasing itself at the upcoming #BCTECHSummit, taking place at the Vancouver Convention Centre from March 11-13. …Innovate BC helps companies like ABC3D access funding, launch their ideas and connect with the experts they need to grow. …helping ensure the development and benefits of a thriving tech sector are felt throughout the province. VANCOUVER – Wood WORKS! BC is pleased to announce the nominees for the 2019 Wood Design Awards in BC. There are 103 nominations in 14 categories, all of which recognize excellence in contemporary design and building with wood. The winners will be announced at the 15th annual Wood Design Awards evening, to be held on Monday, March 4th at the Vancouver Convention Centre (West), where they will be recognized for their leadership and innovation in wood use. More than 400 design and building professionals, including architects, structural engineers and project teams along with industry sponsors will be attending the highly anticipated evening event. Submissions this year are from many locations in BC as well as the US and Asia, with international projects in China, Korea and Tajikistan. A diversity of projects of all types and sizes demonstrating outstanding architectural and structural achievement using wood are amongst the nominees, which include a research laboratory, an energy facility, a winery, First Nations structures and mid-rise projects. Wood Technology Showcase: How Will Innovation in Wood Stir the Sustainability Drink? When it comes to innovation in wood products, the wave of recent research and development continues to prove far-ranging and inspiring. …Here are some other recent developments in wood products that are worth watching. …Take the case of the suddenly contentious plastic drinking straw. 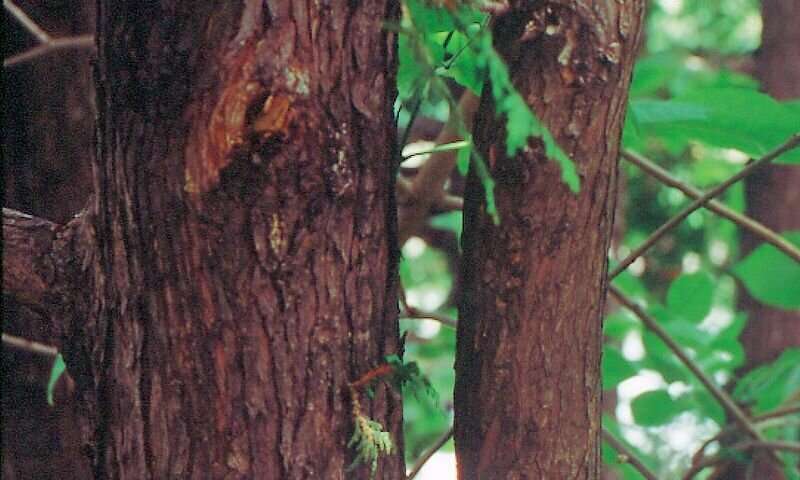 …University of Maryland researchers have found a way to make solid wood more than 10 times stronger and tougher. Through their wood densification process. …One technology that has made its way out of the lab and into the slab—actually the parking lot—is wood-infused concrete. …Scientists from the Singapore University of Technology and Design have developed a process for printing objects using cellulose. …Textiles from trees. …Bonding of wood without adhesives through linear vibration welding. It’s about to get a lot easier to build high with mass timber. It all started when the American Wood Council (AWC) …wanted some scientific rigor brought to the issue that’s often assumed to be wood’s Achilles’ heel: fire. …Stephen DiGiovanni, P.E., fire department protection engineer at the Clark County (Nevada) Department of Building and Fire Prevention… serves as chair of the tall wood committee. …Laboratory tests carried out using ASTM standards have often shown that mass timber materials like CLT char instead of burning, contributing to their safety, but fears remained about how such materials might respond to a real-world fire. …The results? “No collapses, no structural failures, and the fire was contained within compartments,” said DiGiovanni. Delamination was “minor” and deemed “not an issue,” he added. The International Code Council is clearing the way to expand the use of mass timber building products in the US… and allow its use in taller buildings. The move is viewed as a boon to the budding industry that manufactures CLT, now limited to a small handful of producers in the U.S. and Canada. Implementation of new building codes that incorporate mass timber construction likely are only a few short years away. …Robert Glowinski, AWC president & CEO… “There has been a lot of interest from the states to accelerate the tall wood provisions,” he said. “We expect that there will be more states acting ahead of the normal updating process to enable the construction of tall mass timber buildings.” …The number of companies manufacturing CLT has doubled in the past two years “and we know there are others in the pipeline,” said Glowinski. The use of cross-laminated timber has come to warehouse design in Tacoma. A new 10,000-square-foot warehouse, 1530 Center St. in the Nalley Valley, features CLT for its walls. The product was manufactured by Structurlam Mass Timber Corp., based in BC. The site, for sale at $2.9 million or lease at $15,000 per month, is being marketed by Brandon Gates at Kidder Mathews. …Gates, Kidder Mathews vice president, told The News Tribune that his client “wanted to try something new, other than the typical metal siding and/or concrete tilt construction.” Mechem said a wholesale/retail-type company “would be well-suited for the property. 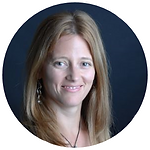 Leading New Zealand green buildings expert Rochelle Payne (Ade) has taken an equity share in healthy homes technology start-up Tether because she is excited by the technology’s ability to completely transform how green buildings are constructed. Payne, an accredited professional in LEED, BREEAM, Green Star NZ and Homestar, as well as being a Passive House Consultant, says Tether has the potential to completely transform how homes are built because it goes beyond design to measure in real-time what happens when humans occupy a space. The Tether EnviroQ is a battery (or mains) powered indoor environmental quality monitoring system for housing, schools and work environments that is designed to ensure quality living, learning and working conditions all year round. Journalists from all over the world attended the curtain-raiser of LIGNA at the Preview press conference held in Hannover to get a sneak peek …LIGNA. 30 exhibitors were present at the Preview to give exciting insights to the journalists. …“From 27 to 31 May 2019, exhibitors from over 50 countries will gather here at the Hannover Exhibition Center to showcase state-of-the-art processing solutions, applications and concepts for the entire forestry & wood industry. The presence of all the world’s leading technology providers will make Hannover the global hotspot for the wood-based industries during those five days. No other fair compares in terms of international appeal”, asserted Dr. Andreas Gruchow, Managing Board member at Deutsche Messe, during the LIGNA Preview press conference. 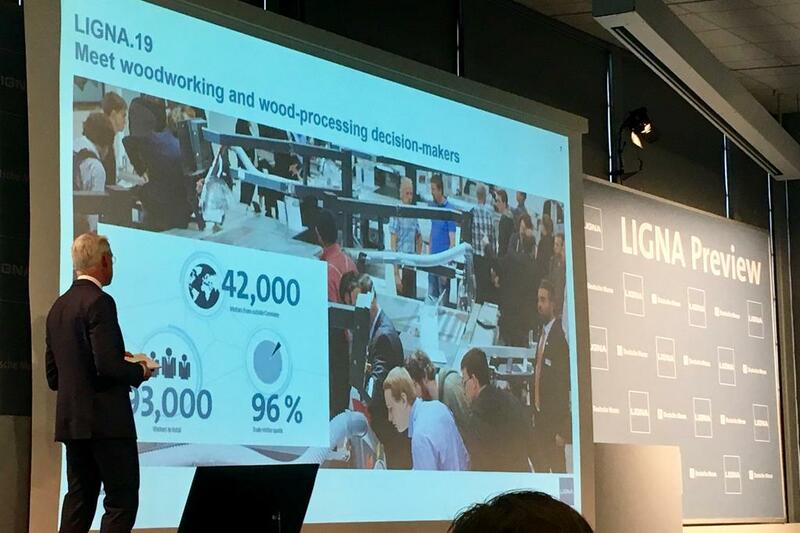 …LIGNA 2019 has three focus themes: “Integrated Woodworking – Customized Solutions”, “Smart Surface Technology# and “Access to Resources and Technology”. The latter is also the keynote theme of the Wood Industry Summit. Montreal – Texas A&M Transportation Institute (TTI) and FPInnovations signed a memorandum of understanding (MOU) on January 13, at the Transportation Research Board annual meeting in Washington, D.C. The MOU will support the establishment of a framework for information exchange and collaboration to advance research opportunities. The MOU was signed by Greg Winfree, TTI Agency Director, and Glen Légère, FPInnovations Senior Manager, Roads and Infrastructure. The parties have common research interests in the areas of commercial, on-and-off-road transportation, as well as roads and infrastructure. Specifically, areas of possible collaboration include: emissions and fuel consumption reduction, freight performance measurement and fleet efficiency, road safety, low-volume roads and infrastructure, data analysis, as well as developing and testing electric, automated, and autonomous vehicle technologies. TTI and FPInnovations’ transportation research specialists PIT Group, will benefit from knowledge sharing and cooperative research for the promotion of science and technology. On February 2, I held a Southern Mountain Caribou Closures Town Hall in Fort St. John to allow our local representatives, stakeholders, and residents an opportunity to come together as a community to discuss possible closures in our region, and what it could mean to our economy and our outdoor recreational way of life. …I wanted to have this town hall because so many of you have come to me to voice your concerns about the lack of transparency behind these caribou recovery plans. …It’s clear from this town hall that residents are very much concerned about the lack of information available surrounding possible caribou closures. What we want are answers, to have a seat at the table, and to be a part of the conversation when these decisions are made. …We need a recovery plan that is crafted by those of us who live in the area rather than by lawyers in Victoria and Ottawa. 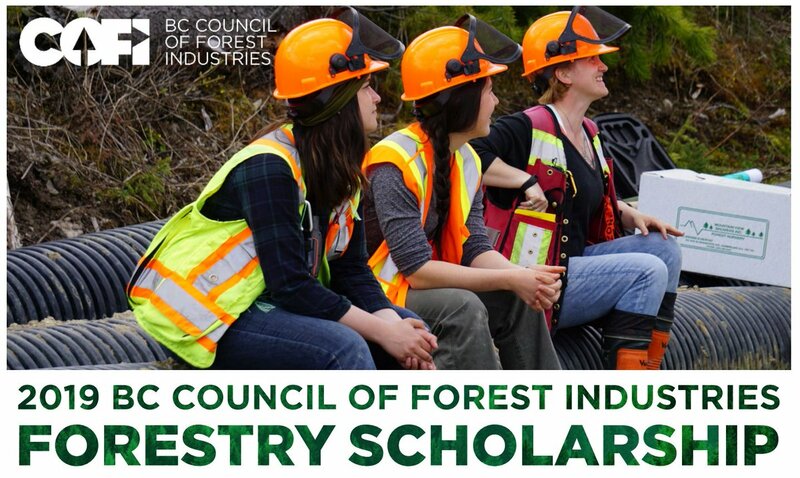 COFI established its Forestry Scholarship in 2007 with the goal to encourage young people in BC to choose a professional, technical or trades career in the forest sector. COFI provides ten $1,500 entrance scholarships to students enrolling at a post-secondary institution in a program leading to a career in the forest industry. The scholarships are funded through proceeds from COFI’s annual convention. The Forestry Scholarship is provided to students planning to attend an accredited post-secondary institution in a program listed under ‘Fields of Study’. All applications must be received by May 31, 2019. Forest Proud, a marketing and communications campaign for a coalition of the forest products industry, had a successful 2018. It created content for members that is being shared to promote healthy forests and the industry that makes them possible. The campaign is a product of the North American Forest Partnership, a coalition of more than 100 organizations, government agencies, and businesses. Members include forest products businesses in both the hardwood and softwood industries, the U.S. Forest Service, state forestry agencies, trade associations, and recreational interests. “We are the most diverse coalition of interests that are being brought together to tell the story of the forest sector,” said Will Novy-Hildesley, executive director of Forest Proud. President Donald Trump wants the federal government to do more this year to prevent wildfires on public lands, including about 20 percent more logging on national forests. But environmentalists argue that expanding logging could do more harm than good. And forestry experts say the president’s push in a December executive order for more “active management” of public lands — a concept most agree is a good idea — won’t get far unless Congress pays for it. …Most forestry experts, including many environmentalists, say protecting communities from fire requires land managers to cut down problem trees, brush and saplings, and set prescribed burns that restore fire’s natural role in forest ecology. Due to the rising costs of fighting fires, however, the U.S. Forest Service lacks money and staff necessary for projects that could make future fires less severe. While the longest government shutdown in American history came to an end more than a week ago, the effects may linger for months and years in Central Oregon’s forests. The 35-day shutdown cost forest managers and other U.S. Forest Service employees more than a month of work on long-term forest restoration projects, while cutting into the window for them to plan and carry out controlled burns ahead of the region’s wildfire season. …Employees from the Deschutes and Ochoco national forests emphasized that the forests will be ready for fire season, but acknowledged that the shutdown eats into their time to train employees and plan controlled burns. In addition, long-running forest restoration projects… may be extended or delayed. Fruit and timber trees will be planted on nearly 1.5 million acres in Mexico’s south. President Andres Manuel Lopez Obrador’s ambitious forestry program, announced Friday, also includes cacao and coffee crops, starting in Veracruz. If successful, the plan will reverse Mexico’s position as a net importer of cacao, the basis of chocolate. Other countries far outstrip Mexico’s cacao production, despite the fact that Mexicans were among the earliest to grow the crop. …The program, “Planting Life,” will focus first on planting mahogany, cedar and coffee plants, and will expand to coffee bushes and fruit trees. The program also hopes to help Mexico’s beleaguered coffee growers, who have been hit by plant disease and a lack of government support. As with many of Lopez Obrador’s projects, the army will play a role, running the tree nurseries. Technicians and interns will also aid farmers. LEBANON, Ore. — A blast of intense heat escapes the Carbonator 500 as Anders Ragnarsson opens the combustion chamber, revealing leftover tree limbs, branches and woody debris from a recent timber harvest engulfed in bright orange flames. Normally, loggers burn this type of unprofitable forest waste in large slash piles, but the Carbonator 500 is designed to convert the material into biochar, a valuable substance with serious potential for improving soil. …Because it can drive directly to the site, Ragnarsson said it eliminates additional transportation costs of hauling woody debris from the forest. …As the material burns, it breaks up and falls beneath a grate into a chamber where it is quenched in water to stop combustion. Auger conveyors remove the finished biochar from the vehicle, where it can be cooled and collected.